It can be used for trade by expert advisers and for manual trading as well. e-BJF-TrailingStop-Toolkit expert advisor contains 6 different TrailingStops (Standard, High/Low, ATR, Fractals, PSAR, ProfitPcnt), work days settings and work time settings. If Buy opened at 1.3000, ProfitPcnt = 40.0 and the market reaches 1.3100 then the trailing moves StopLoss to 1.3040, on 1.3200 StopLoss will be moved to 1.3080. Every trailing has on/off option. You can activate any of them or all of them simultaneous. You can use the expert on 4-digit and 5-digit accounts. TrendLines make very effective day trading tools. A trendline's upward slope created by a stock creating higher highs, allows a day trader to trail a stop order directly under the trendline , allowing price to often run to new highs before the position is exited. h) MovingAverage Trailing - stop loss will follow a moving averages. 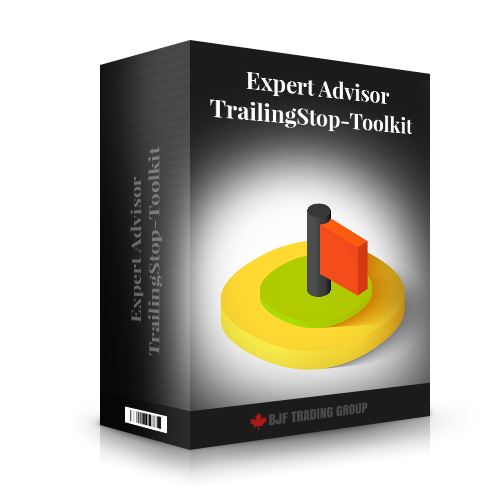 How to test the expert advisor e-BJF-TrailingStop-Toolkit by StrategyTester and understand the behaviour of every trailing? 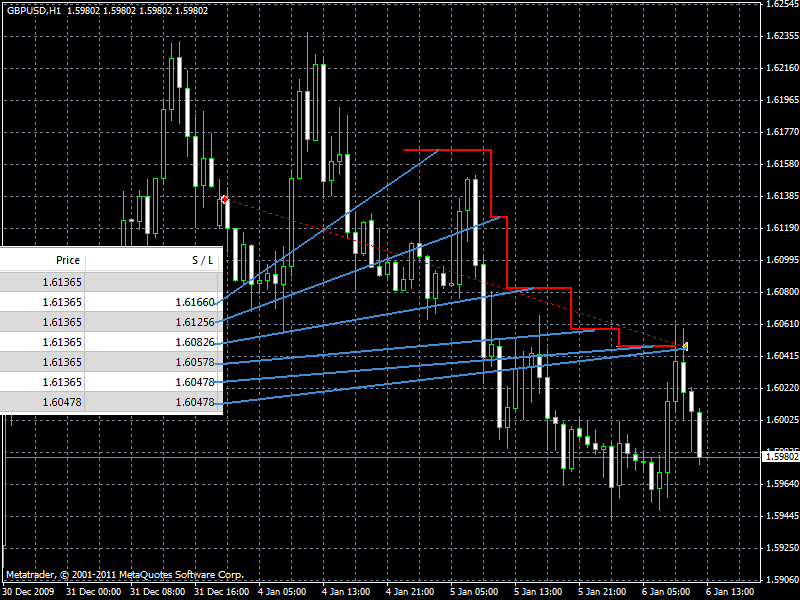 You can test e-BJF-Trailing Stop-Toolkit in MT4 Strategy Tester in visual mode with manual orders openning. You can swith on tracking feature. Tracking (Visualisation) leaves traces of stoploss levels on chart. c) Add any graph. object on the chart manual, set name = "!buy". Buy order will be open. d) Add any graph. object on the chart manual, set name = "!sell". Sell order will be open. extern int StdTrail.Size = 80; // Keep StopLoss on 80 pips from the market. // StopLoss updated only to profitable side. // Trade time. You can specify 3 different trade sessions. extern int StdTrail.Size = 30; // Keep StopLoss on 30 pips from the market. Q. Does this EA works per chart or globally? If I'm trading on 2 currency pairs (charts) should I put it on both? A. This EA has be attached once per chart (but once per pair). 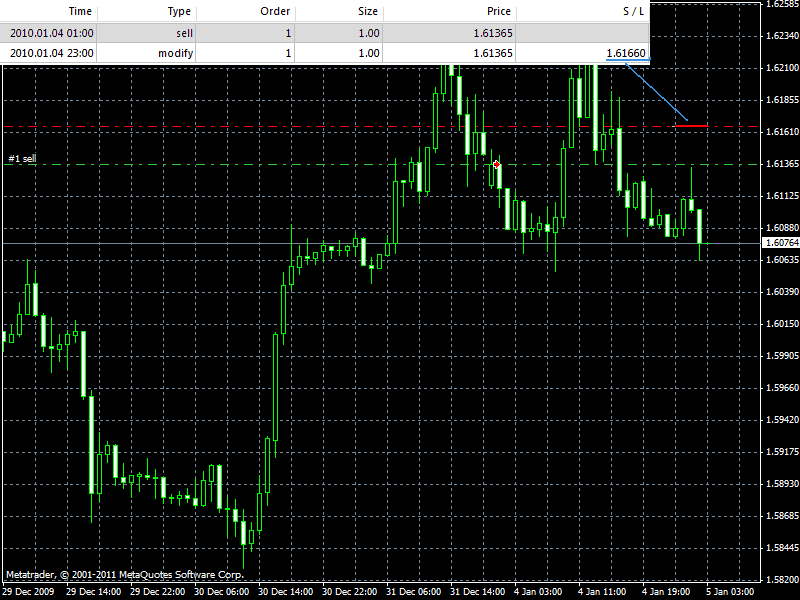 Example: You trade EURUSD M15, EURUSD H1, GBPUSD H1, USDJPY M30. You should attach Trailing EA once on EURUSD chart (does not matter M15 or H1 timeframe), once on GBPUSD and once on USDJPY. param during trade? Is there other way to work around? еру spread. In this case the trailing will set initial StopLoss automatically.